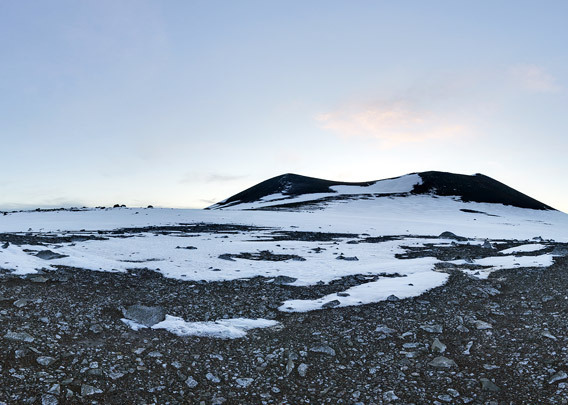 The small Penguin Island is less than two kilometers in diameter and close to Turret Point on King George Island. 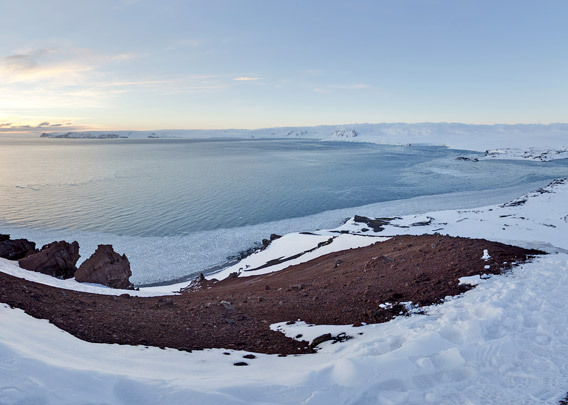 Penguin Island was for the first time sighted during Bransfield’s voyage in 1820. The volcanic origin of the island is quite obvious. And, geologically speaking, it belongs indeed to the Bransfield Strait with its chain of volcanoes (Deception, Penguin, Bridgeman Islands) rather than the block of continental crust that comprise the South Shetlands proper (again, geologically speaking), similar as Iceland belongs to the middle Atlantic ridge in the north. 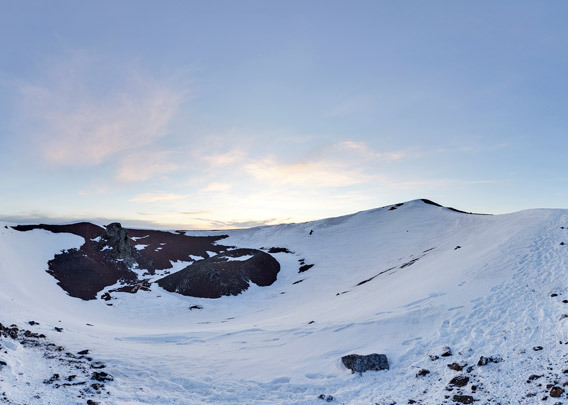 The latest phase of volcanic activity must have been quite recent, as the crater appears morphologically very fresh and not altered by any glaciation. 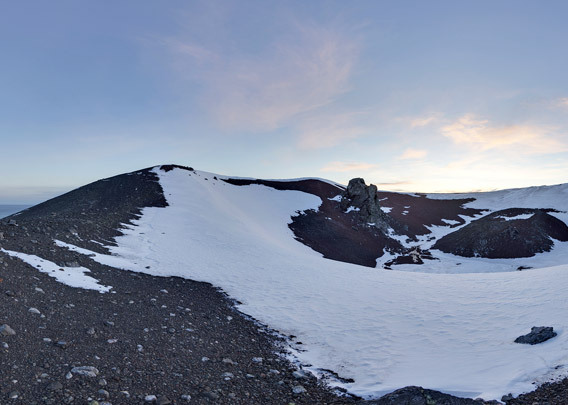 A dome and a vent are clearly visible inside the crater, which is called Deacon Peak and is 170 meters high. Deacon Peak is easily reached from the landing area on the north side of the island. 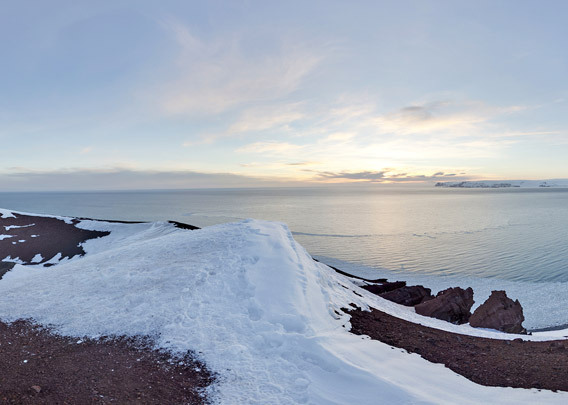 You have brilliant views of nearby King George Island with its wide icecaps from there. 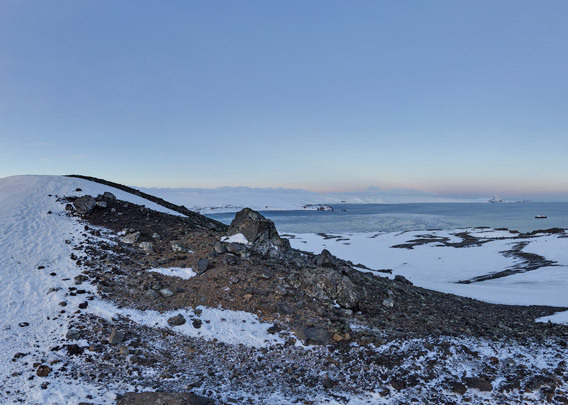 The landing is quite exposed to any wind and swell from northerly directions and drifting fields of brash ice (pieces of glacier ice) can make Zodiac operations quite tricky, as all know well who were present on that November evening in 2013 when these panoramas were taken.